Deontay Wilder is the "only fight" that Anthony Joshua wants next despite talk of a US debut, says promoter Eddie Hearn. World heavyweight champion Joshua watched Saul 'Canelo' Alvarez beat Rocky Fielding from ringside in New York City last weekend, causing suggestions that he could defend his belts against Jarrell 'Big Baby' Miller in the US. But there is no intention to deviate from the long-held plan of fighting at Wembley Stadium on April 13, Hearn insisted, with the priority still to lure WBC champion Wilder into a battle that would have every major title at stake. "AJ wants it badly," Hearn told Sky Sports. "This is the reason he started in the sport. He's got every belt except one." [Wilder] is the only fight that we want. If we can't get that fight, we'll look at others. Does that mean moving to the States? Not necessarily. Asked about ongoing talks to pit Joshua against Wilder, Hearn said: "Bits and pieces. I have been speaking to [Wilder's representative] Shelly Finkel and it will remain private. "I am ready to make a deal but I can't say that it's close, because it isn't. "It all depends on if Wilder wants to be the undisputed champion. If he does, then we'll get the fight made. If he's not bothered, then he'll swerve it. "It is the only fight that we want. If we can't get that fight, we'll look at others. "Does that mean moving to the States? Not necessarily." Joshua has always intended to box in New York or Las Vegas and the rise of unbeaten contender 'Big Baby' Miller could make him a perfect foil. "The American debut is imminent," said Hearn. "I'd like the American debut to be against Wilder but, if not, fighting in New York against a New Yorker with a big mouth would make a lot of sense." 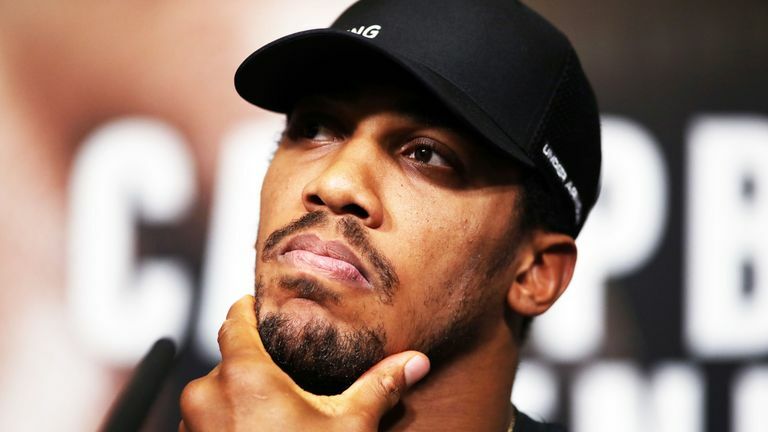 Joshua and 'Big Baby' had a bust-up earlier this year at a DAZN press conference in New York and will reconvene at ringside this weekend to watch Dillian Whyte fight Derek Chisora, live on Sky Sports Box Office. 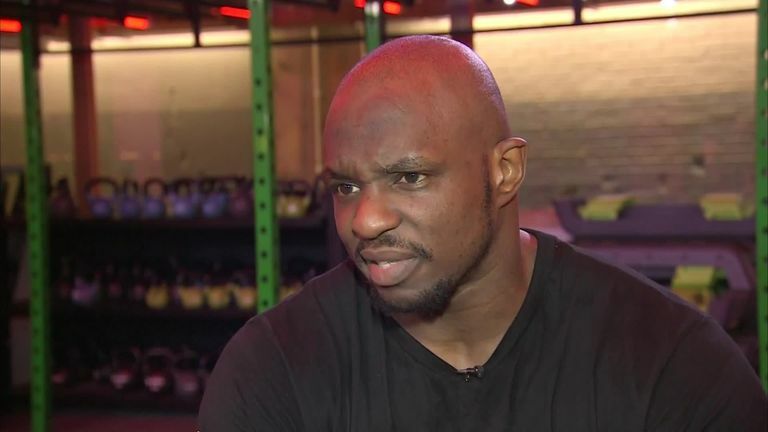 Whyte is hoping to force his way to the front of the queue to challenge Joshua on April 13, in what would be a grudge rematch after their brawl three years ago. "If AJ can't fight Wilder or Tyson Fury, we look to the winner of [Whyte vs Chisora] and say: 'that's probably where our opponent will come from'," Hearn said. "Wilder, Fury, the winner of [Whyte-Chisora], Oleksandr Usyk, Luis Ortiz. These are all guys that AJ has to go through in the next three years." But the focus remains on Wilder, who could opt to meet Fury again, Hearn reiterated. "Another reason why the undisputed title fight must happen now is because, sooner or later, we'll have different mandatory challengers. "And they might be fights that no one has an interest in. Wladimir Klitschko did that for years except he took the fights that no one had an interest in. Keep defending, keep defending - but you build a poor resume and AJ isn't interested in that. He wants the big fights." Last week Joshua, holder of IBF, WBA and WBO gold, told Sky Sports about Wilder: "I think it's the risk and reward factor. When you look at the situation, it's a big risk and the reward has to outweigh your risk, I think in their eyes. I think that's all it comes down to with these guys. "It's quite interesting. I've started to notice there is a lot of tension that has been building up with their camp and the fight in itself, watching what we've been achieving."